GB builds an additive model in a forward stage-wise fashion; it allows for the optimization of arbitrary differentiable loss functions. In each stage a regression tree is fit on the negative gradient of the given loss function. loss function to be optimized. ‘ls’ refers to least squares regression. ‘lad’ (least absolute deviation) is a highly robust loss function solely based on order information of the input variables. ‘huber’ is a combination of the two. ‘quantile’ allows quantile regression (use alpha to specify the quantile). An estimator object that is used to compute the initial predictions. init has to provide fit and predict. If ‘zero’, the initial raw predictions are set to zero. By default a DummyEstimator is used, predicting either the average target value (for loss=’ls’), or a quantile for the other losses. 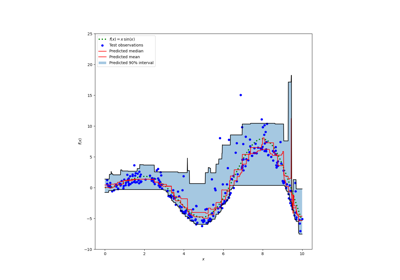 The alpha-quantile of the huber loss function and the quantile loss function. 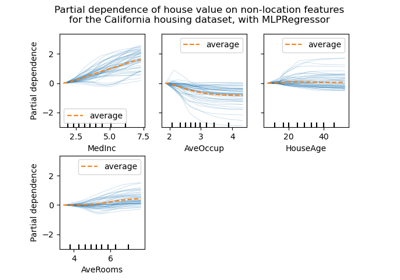 Only if loss='huber' or loss='quantile'. New in version 0.17: optional parameter presort. 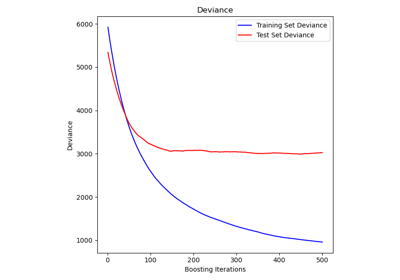 n_iter_no_change is used to decide if early stopping will be used to terminate training when validation score is not improving. By default it is set to None to disable early stopping. 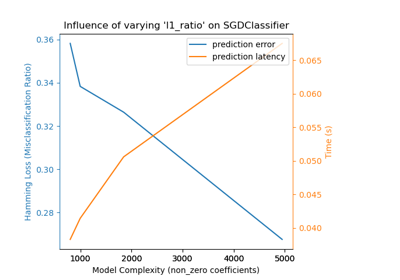 If set to a number, it will set aside validation_fraction size of the training data as validation and terminate training when validation score is not improving in all of the previous n_iter_no_change numbers of iterations. 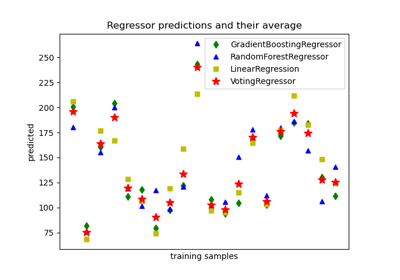 predict(self, X) Predict regression target for X.
staged_predict(self, X) Predict regression target at each stage for X. For each datapoint x in X and for each tree in the ensemble, return the index of the leaf x ends up in each estimator. Predict regression target for X. Predict regression target at each stage for X.